Michael is a specialist in international children law, particularly child abduction, leave to remove and jurisdictional disputes. He regularly appears in the High Court and has appeared in the Court of Appeal and Supreme Court. He appears regularly in private law cases involving allegations of sexual abuse and parental alienation. The inquest into the death of Ellie Butler. In January 2018, Michael was appointed as a Special Advocate. He appears on a daily basis in the High Court. 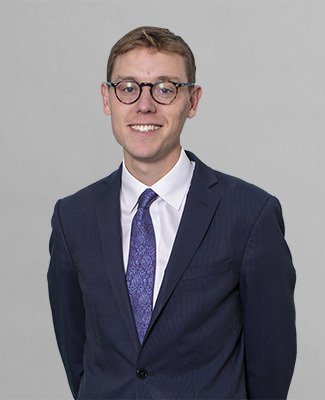 He successfully represented the father in an application to take his children to Jordan against the mother’s objections in AB v TB (Temporary Removal to Jordan)  EWHC 4663 (Fam), and appeared in ‘stranded spouse’ proceedings in NN v ZZ & Ors   EWHC 2261 (Fam). He has also appeared in a number of long-running child protection cases involving the death of a child. Michael has particular expertise in care proceedings with an international element, particularly Article 15 transfers, habitual residence disputes and placements abroad under Article 56 (BIIa). Michael represents parents and children in disputes about children’s upbringing, especially international and internal relocation cases. He has appeared in a number of ‘intractable hostility’ cases and where one parent has made allegations of violence and sexual abuse against the other. Michael has expertise in child protection in sport. He holds BASL post-graduate certificate in sports law from the British Association for Sport and Law (BASL) and lectures in child protection on the BASL course. In 2014, Michael was awarded a Pegasus Scholarship from the Inner Temple to work in Sarajevo, Bosnia, for a human rights charity, TRIAL. He spent three months working on war crimes trials with a particular focus on sexual violence cases. He continues to assist TRIAL from London. Michael previously worked in the Office of the Prosecutor at the International Criminal Tribunal for the Former Yugoslavia in The Hague. Michael represented the Bar of England and Wales in the Lawyers’ Cricket World Cup in Delhi in October 2013. Children law junior with a growing international practice, who has handled a number of highly complex abduction cases in the Court of Appeal and the Supreme Court. His practice spans a broad range of private and public law proceedings involving international issues. Recent work: Led by Alex Verdan QC for the London Borough of Sutton in the widely publicised inquest into the death of Ellie Butler. Recent work: Led by Alex Verdan QC in an independent inquiry into child sexual abuse on behalf of Leicestershire. The matters centred on allegations made against Lord Janner relating to care homes in Leicestershire in the 1970s. Children law junior with a growing practice, who has handled a number of highly complex abduction cases in the Court of Appeal and the Supreme Court. His public law practice consists of the most sensitive and severe cases concerning matters such as infant death and abuse. Draws glowing reports from peers, who regard him as someone with “a bright future.” He has a broad-based practice that takes in private and public children law proceedings, including those with an international element.